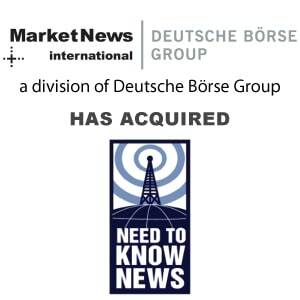 Deutsche Börse Acquires US Financial News Service Need To Know News - Berkery, Noyes & Co., LLC. 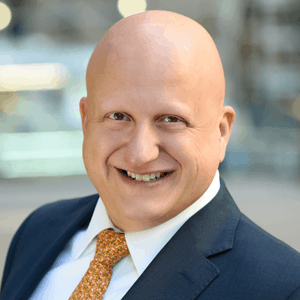 New York, Nov. 30, 2009 — Deutsche Börse is expanding the offering of its Market Data & Analytics segment by acquiring the US financial news service Need to Know News. A purchase agreement was signed on 20 November 2009. Need to Know News will become a 100 percent subsidiary of Market News International (MNI), a Deutsche Börse Group company. “The acquisition of Need to Know News reflects our growth strategy with globally relevant information for algorithmic traders. We see an increasing demand from market participants pursuing automated trading strategies to integrate financial news and other event data into their algorithms, in addition to real-time market data”, said Holger Wohlenberg, Managing Director of Deutsche Börse Market Data & Analytics. With this transaction, Deutsche Börse acquires a pioneer in the delivery of machine readable news for algorithmic trading. The acquisition allows Deutsche Börse to combine its expertise in the development of ultra high speed data feeds with content provided by Market News International and with the proven market experience of Need to Know News. Together, the businesses aim to assume a leading role in the delivery of real-time data to the growing number of market participants with automated trading applications. 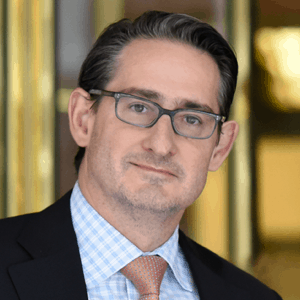 At the same time, Deutsche Börse is expanding its client base for its offering of real-time news relevant to financial markets. Based in Washington D.C., Need to Know News has 25 employees and delivers trading relevant news to market participants in the US and Europe. Deutsche Börse Market Data & Analytics collects, refines and disseminates independent capital market relevant data and information. The product range includes price data, trading statistics, analyses, master data, financial news and over 3,000 indices which document market movements and bring transparency to international financial markets. With the acquisition of Market News International (MNI) in January 2009, Market Data & Analytics extended its services with trading relevant macroeconomic real-time news. MNI has employees in 12 locations in Europe, Asia and the USA. Buyer: Market News International, Inc.